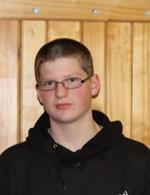 Ben Harper, 17, started mushing in 2010 and ran the Jr. Iditarod in both 2012 and 2013. A senior at Wasilla High School, Ben enjoys squirrel hunting in his spare time. He plans to go to college and to continue mushing.